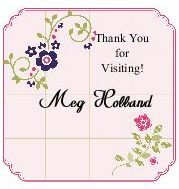 Megumi's Stampin Retreat: Short & Sweet Promotion - 4 Days Left!!! Happy Monday! Here's an exciting news from Stampin' Up! The Short & Sweet promotion is HERE! It IS short: It only lasts from August 21 - 28, 2014. 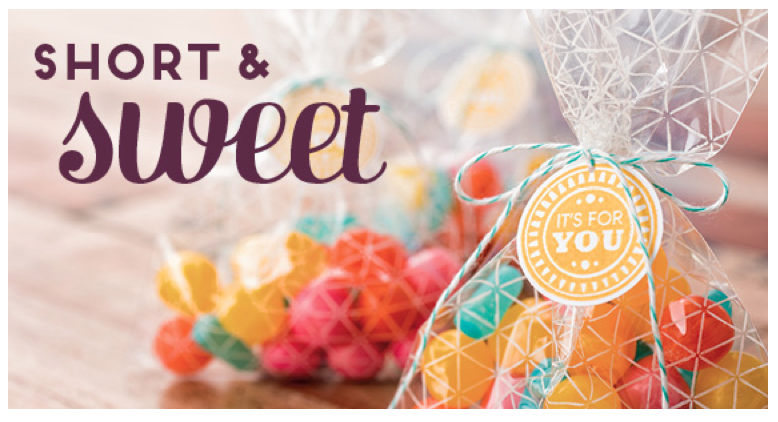 And it IS sweet: Sign up as a new demonstrator and receive $150 of your choice of Stampin' Up! products for the $99 Starter Kit price! Plus, you don't have to pay for shipping either! The $99 Starter Kit allows you to choose your favorite products. And GUESS WHAT?? You can choose products from the new Holiday Catalog in your kit!!! SWEET!!! So if you are drooling over the new Holiday Catalog and can't wait to get your hands on, this is your chance!!! Don't wait too long, it ends on August 28th. Join now and you will have until the end of December to meet your first minimum requirement, and within the timeframe you will have opportunity to preorder from the upcoming Occasions Catalog! No pressure at all. Give Stampin' Up! a try. There really isn't anything to lose. Thank you for stopping by today. Please feel free to contact me with any questions! Have a great day!! !